A glass floor creates space, lots of light, style and atmosphere in your house or office. 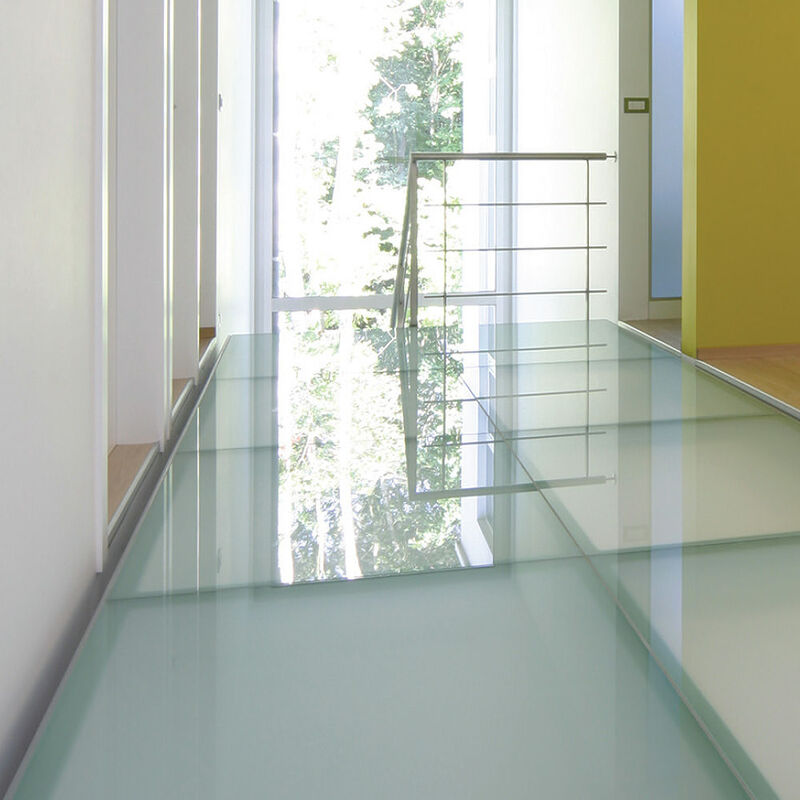 Floor glazing — including walking glass, a glass passage or glass steps — has to meet a few requirements. It should be thick enough and fitted with safety film. In this way, you ensure sound fall prevention and you avoid injuries. A glass floor is classy and fits in with any interior, be it clear, leavened, sandblasted or coloured.